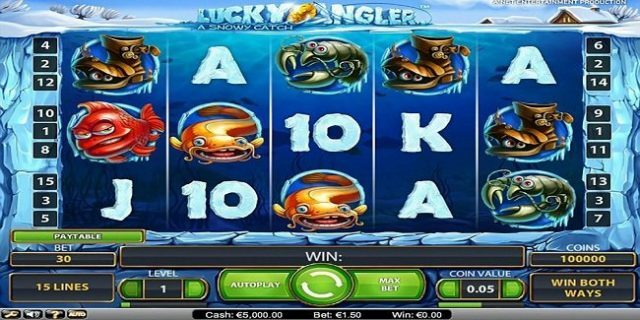 Lucky Angler Slot is a video slot powered by NetEnt software platform. 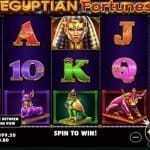 This slot game is of 5 reels and 15 paylines for which minimum coins per line are 1 and maximum are 10. The coin size for the game ranges from 0.01 to 0.5 per spin. The game offers a jackpot of 2000 times/coins of your total bet and return of the player percentage is 96.4%. This game is very impressive as per the graphics are concerned, while the background theme of the game is also very awesome. The game includes Fish symbol as the scatter symbol, whereas the Golden Fish Hook acts like wild symbol here in this game. Players are welcome to play this game at any following NetEnt online casino with the help of real money or for free. You can win lots of money if playing at a decent site like below. The game contains some options like “Level” and “Coin Value’ and you will have to set bet level from these options to play the game. The “Level” option can be used to choose the betting level, “Coin value” can be used to decide on the coin size and “Spin” option can be used to initiate the game at the selected bet. There are two more options which players can take on with and they are “max bet” and “Auto Play” options and they are used to spin the reels at the maximum wager and to Turn the reels for a preset number of times uninterrupted respectively. The stick wild symbols can appear only on reel 2 and 4 during the base game, while it will appear on reel 2,3 and 4 during the free spin feature which would act like big winning combinations. If you land on 3 or more scatter symbols, it will activate free spin round. 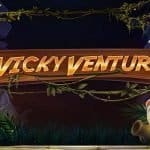 3 Scatter symbol will provide you 10 free spins, 4 scatter symbols will give you 15 free spins, while 5 scatter symbols on active reels will provide you 20 free spins. 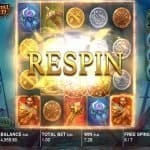 Additional free spins can also be won during free spin feature.